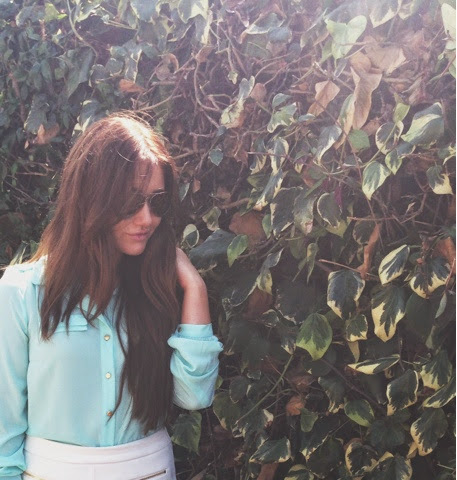 I am loving the turquoise blue this summer. I think it's so feminine and pretty and is an essential colour in any girls wardrobe! It's my favourite colour blue so I felt it was appropriate to include in a blogpost and share with you! 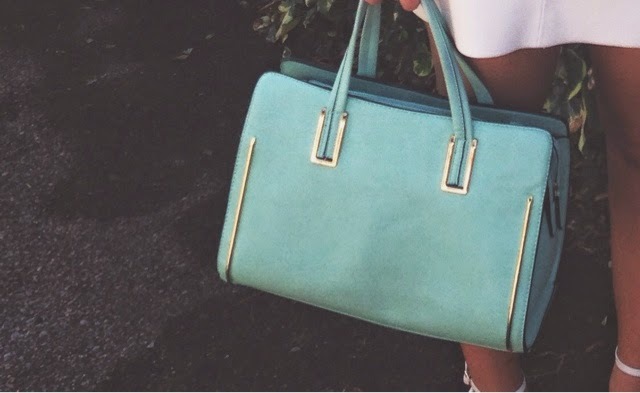 Although the bag and blouse are slightly different shades of turquoise. I would say the bag is more green actually. I think they worked pretty well together! I wanted to keep the outfit as summery as possible so I decided to team the blue with white. White is the ultimate summer colour - you can never go wrong ladies! :) I luckily snapped up this Zara skirt in their sale a few weeks back ... a good catch if you ask me! 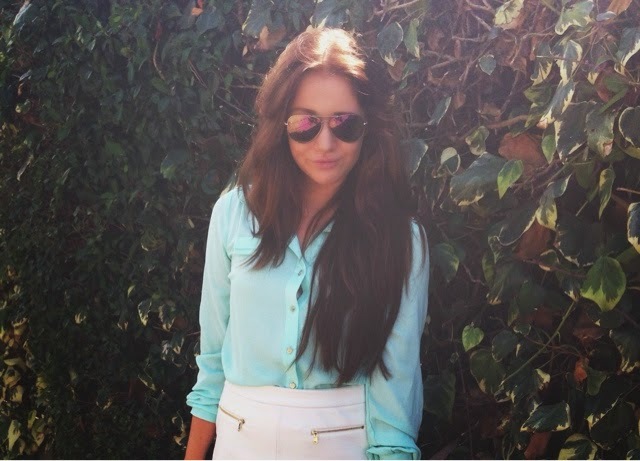 I paired with my fave Linzi white heels and my pink mirrored sunglasses to complete the look! 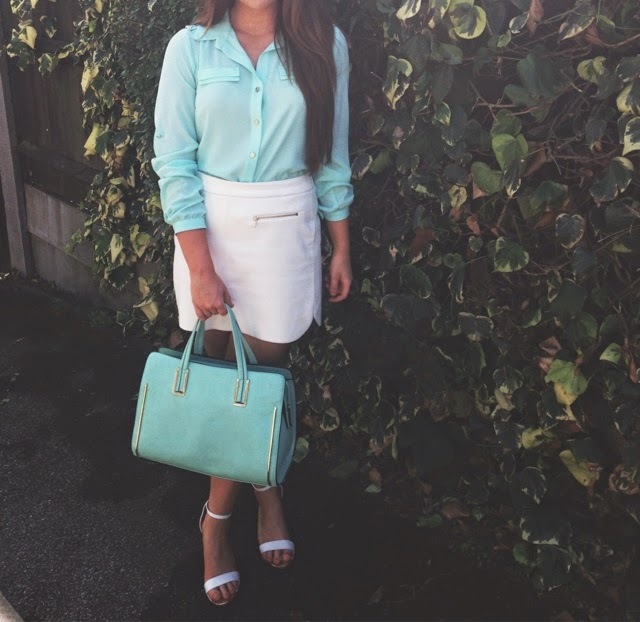 The colours in this are gorgeous, I really like turquoise and mint greens at the moment :) your skirt is lovely too!